Winning painting of BP Portrait Award 2017, Breech! 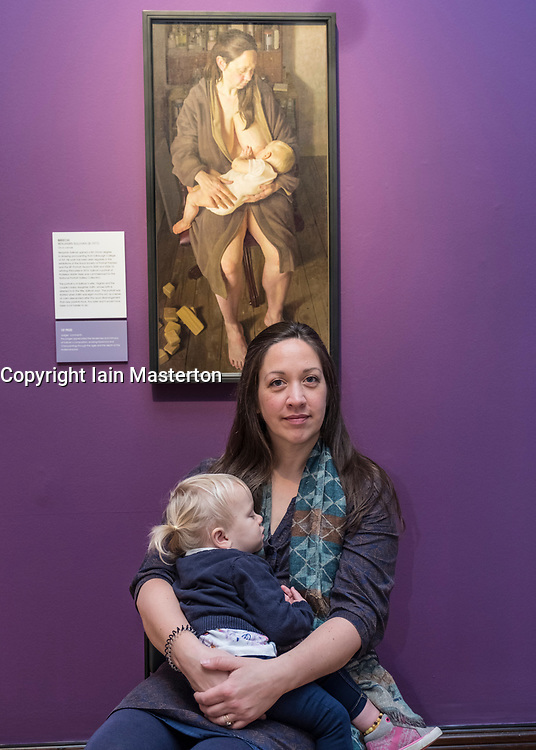 With the subject of the painting, artist's wife Virginia and her baby at the opening of the exhibition. The BP Portrait Award 2017 opens at the Scottish National Portrait Gallery on 16 December 2017.